Many Crystal Lakers can remember the Jewel Food Store at the corner of Williams and Brink Streets. 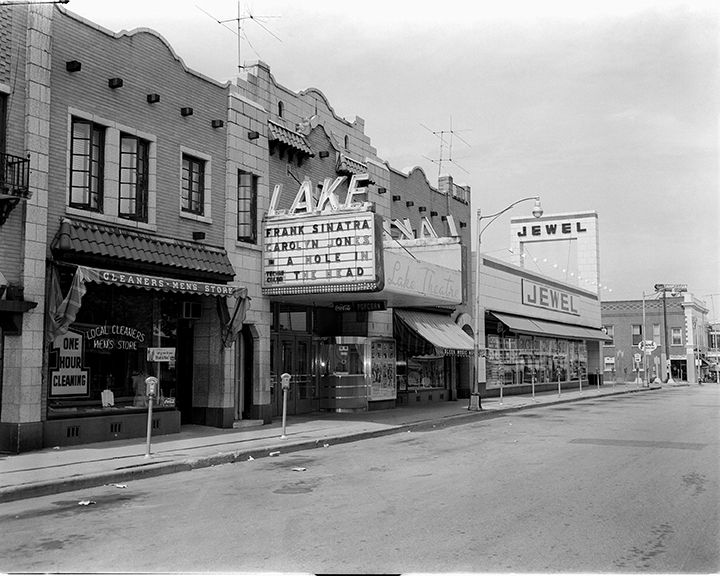 But how many remember when Jewel first came to Downtown Crystal Lake and was on the north side of Brink Street (about where Cut & Cuddle Dog Grooming and Woodland Art Gallery is today)?? In September, 1949, Jewel Tea Company announced its intention to open a food store on Brink Street. A one-story brick building would be built at a cost of about $35,000. Vera Breitling of Chicago was the land owner and Jen Jensen the building contractor. The grand opening of the store was held in February, 1950. Richard J. Tucker was the grocery manager, and Gene Christensen the market manager. Over 5,000 guests visited the store during the grand opening days. The white-front store was 50 feet wide and 100 feet deep and was completely self-service. Noteworthy was a “magic carpet door” which opens itself for a customer. The store boasted six checkout lanes and all modern conveniences (including air conditioning). According to a Jewel newspaper ad, a quarter (25 cents) could buy 2 cans of Franco American Spaghetti, a 15oz. jar of peanut butter, or a large bar of Dial soap. 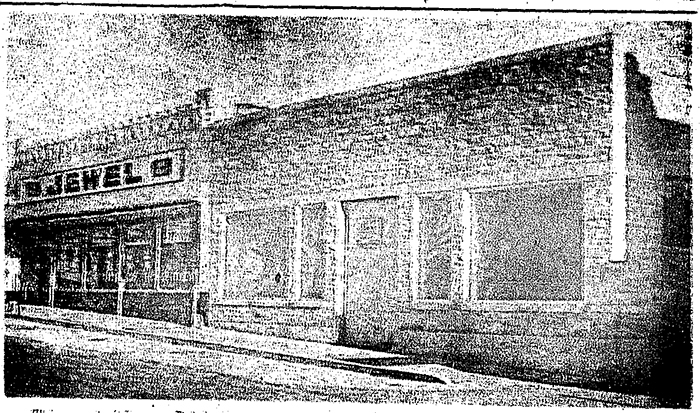 Jewel moved out of this small store into a larger, more modern store across the street (corner of Williams and Brink Streets) in November, 1954. This was the former site of the M-E Church. The new store was 80 ft. wide and 145 ft. deep. At the time, it was the largest food store in McHenry County, boasting over 100,000 items in the store. Eventually, Jewel moved out of downtown to Route 14. At first, it was located in the Country Corners Shopping Center. There’s a Dollar Store, Hancock Fabrics and Petco there today. Two moves later, Jewel is still on Route 14, and it’s still the largest grocery store in Crystal Lake. And the old Jewel Store Building at Williams & Brink? Its roof collapsed after a snowstorm, and the building was then bulldozed to the ground.